A proposal to abandon formal prayer in the Senate has been strongly opposed by Australia’s Catholic bishops. 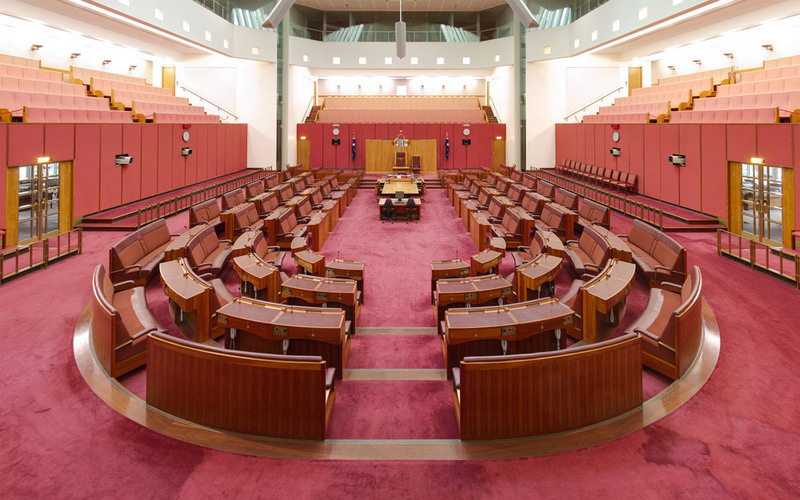 Senator Lee Rhiannon’s motion to create an inquiry proposes that the Senate should abandon the long tradition of formal prayer and replace it with a bland statement inviting senators to private reflection and prayer. In a submission to the Senate, Australian Catholic Bishops Conference president Archbishop Mark Coleridge said the motion appeared to be ideologically motivated. “Australia’s rich religious diversity is not a reason to purge public prayer from the Senate, but a reason to examine how we can continue to reflect in the public forum the beliefs of Australians,” he said. “Prayer is an important part of the life of six in 10 Australians – and probably of more in one way or another. Archbishop Coleridge said that heritage “needs to be acknowledged and respected”, while acknowledging some of the archaic language of the current prayers could be revised. “Silent prayer and reflection is available to senators at any time, but a public prayer and acknowledgement of God is otherwise relatively rare and is valued by people of faith, as well as by others,” he said. “The prayer, including the Lord’s Prayer, contains important reminders to senators to look beyond their own needs to the welfare of others. Archbishop Coleridge said those wishing to ban public prayer in Parliament claimed that the prayers did not reflect the diversity of Australian religious life. “Thirty per cent of Australians do not identify as followers of a religious tradition, it is true; but a majority identify as Christian and one in five as Catholic. A total of 60 per cent of Australians have a faith,” he said. “Valuing the diversity of the Australian community does not mean eliminating difference but recognising and appreciating the different perspectives people bring to public life. “Australia is a pluralist – not a secular – society, and inherent in a pluralist society are different views, beliefs and traditions, as well as the challenge of accommodating those different approaches to public life. Excluding the practices of people who have a religious faith or discouraging their views not only risks impoverishing public life, but is also unjust. “When talking about people of faith, governments are talking about their own citizens, whether from a Jewish, Christian, Muslim or other religious tradition. This is what “multiculturalism” can lead to, in the absence of wise political leaders – the inch by inch undermining & dismantling of the culture, heritage & religion of the host country.